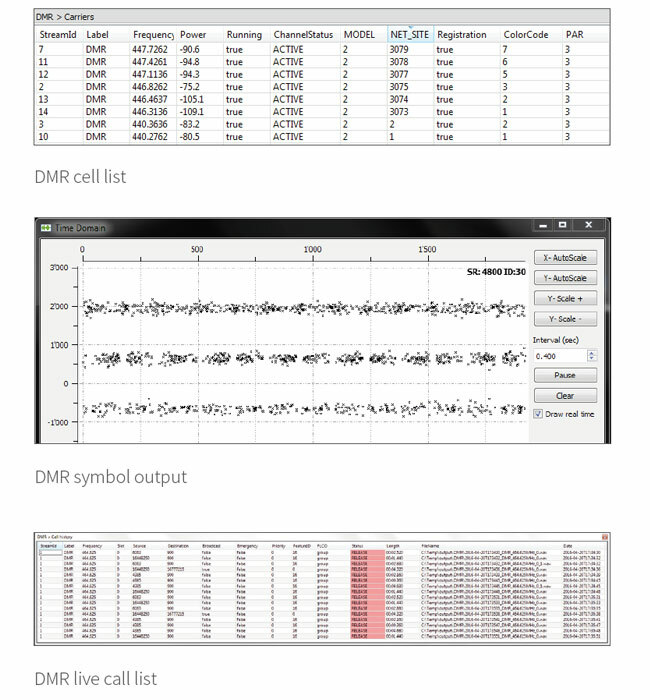 Decodio NET for DMR is a highly flexible and extendable air interface analysis tool for DMR network monitoring. Decodio NET allows interactive troubleshooting and fast identification of DMR emissions. Every important PDU is decoded, allowing detailed analysis of the network traffic. Reports containing all the decoded information can be generated for further processing in other software, such as Microsoft Excel. Get an overview of the network occupancy and record unencrypted voice content and data messages for quality assurance. Voice recording, content decoding (short data messages, position reports) and database logging are available. Calls and data messages can be searched and filtered, making it easy to analyse long recording sessions. 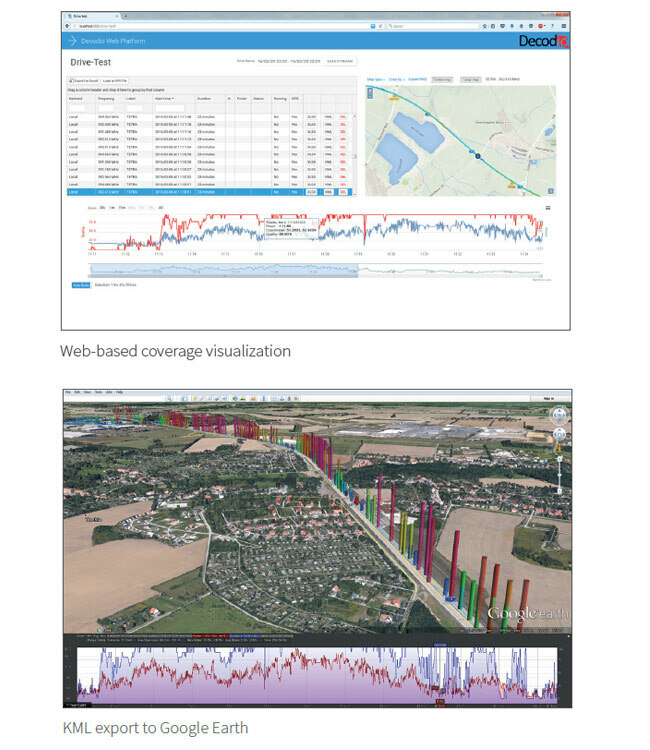 Decodio QoS allows continuous monitoring of large-scale communication networks using multiple measurement sites. Ideally, it is suited for a wide range of applications such as quality assurance, automatic interference detection and network capacity troubleshooting. It operates over the air interface, independently from the network. 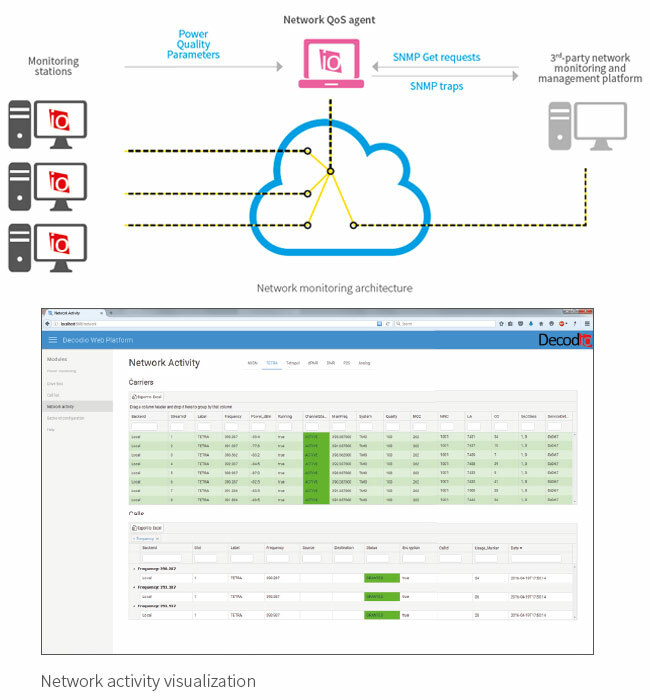 The ability to send notifications, based on various quality metrics, allows fast response to network failures and ensures optimal service uptime. Decodio works in close relationship with its customers in order to configure the best QoS solution..
Decodio RUNNER combines the measurements of Decodio NET with position information to provide an advanced mobile drive test solution for network planning, verification and troubleshooting. Thanks to innovative signal processing algorithms, multichannel drive tests can be performed. Power, BER and network parameters of each channel are logged and clearly visualized on a map. Measurement campaigns can be exported to Google Earth.